Welcome back to the monthly editorial post – we’ve only been away for a month, but it’s surprisingly felt much longer. Maybe it’s the routine and the great comfort it brings when sharing some fantastic content with our readers. Either way, I’m very happy to be back writing, editing, and covering all sorts of things for magazine content. Late summer has closed its doors and a new autumnal breeze has swept across Britain, making the tawny leaves hit your boots and probably your face. Autumn is delightfully pretty, but it’s also messy – there’s nothing worse than wet leaves sticking to your hair, specifically if it’s already curly and tangled. I’m not here to whinge, though, as it’s the start of a very spooky month here on Inkblots. With the arrival of Hallowe’en, my Pagan roots strengthen and begin to welcome in the new Pagan year. It’s out with the old and in with the new. I even find time to start carving a pumpkin for the evening celebrations! Given the time of the year, October’s content theme surrounds itself with the idea of fear. And we’re kicking the month off with the winning Fiction Frenzy entry. As many of you will know, in conjunction with our sister site The Inkwell, we ran a writing competition throughout July and August with two themes: Carnage and Virtual Reality. We had some truly wonderful entries, with three in particular making the final shortlist. But there could only be one winner, so it was with great joy we awarded the Fiction Frenzy Winner title to Magnificent Mayhem for her horrifying tale “Rabid”. It will be published on October 5th, so make sure you check back to read it. For the rest of the month, we’ve got poetry from Ashcloud on the 8th, a great HHC short from our veteran forum writer Rob, as well as a lovely twist on the Red Riding Hood fairytale by Bandit Queen. 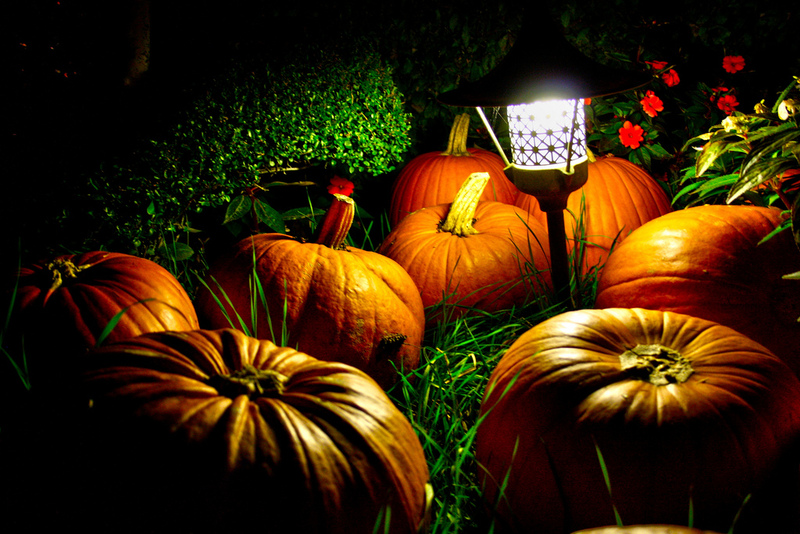 On Hallowe’en itself, we may have a spotlight special for stand-out HHCs under this month’s new theme: Pumpkin. So if you’d like to get your piece into the spotlight on the 31st, make sure you send us in your HHC entry. All details for submitting entries can be found on our submissions page. And that just about covers October. Keep checking back to Inkblots regularly so you never miss a post, and you can always follow us on Twitter or Facebook too. Also, before I forget and in aid of National Poetry Day, here’s a link to see a snippet of the BBC’s Dylan Thomas animated poem, The Hunchback in the Park. Narrated by Michael Sheen, you can catch the full animation on BBC iPlayer or BBC One Wales later in October, which marks the centenary of the poet’s birth. Have a fab October – don’t get too spooked!